VERDURE can provide you optimum solutions for commercial and residential pools of any size or shape, indoor or outdoor. We make swimming pools for recreational or competitive swimming, diving, or for other bathing activities that Our exclusive range of Swimming Pool Equipment and Accessories are made of best grade material and sophisticated technology, thus ensuring reliability, high performance and safety. 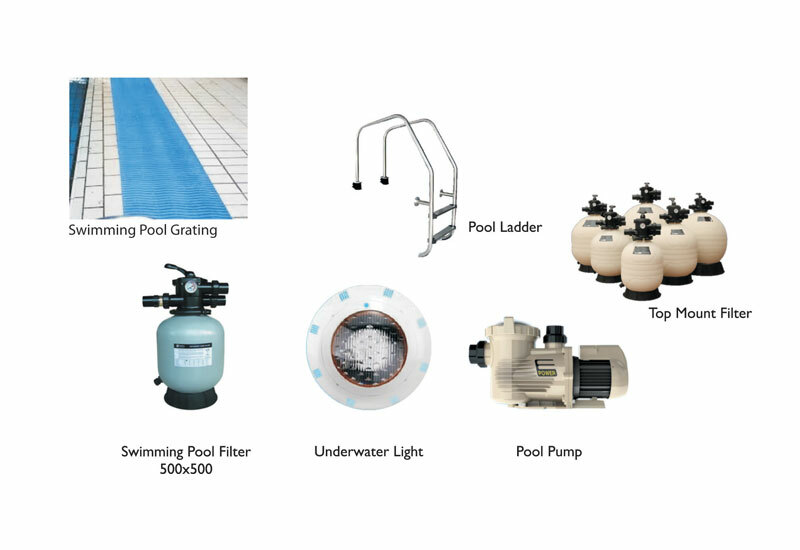 We supply equipment for Filtration System, Circulation System, Pool Heating System, Swimming Pool Cleaning, etc. for your Swimming Pool/ Spa Pool. 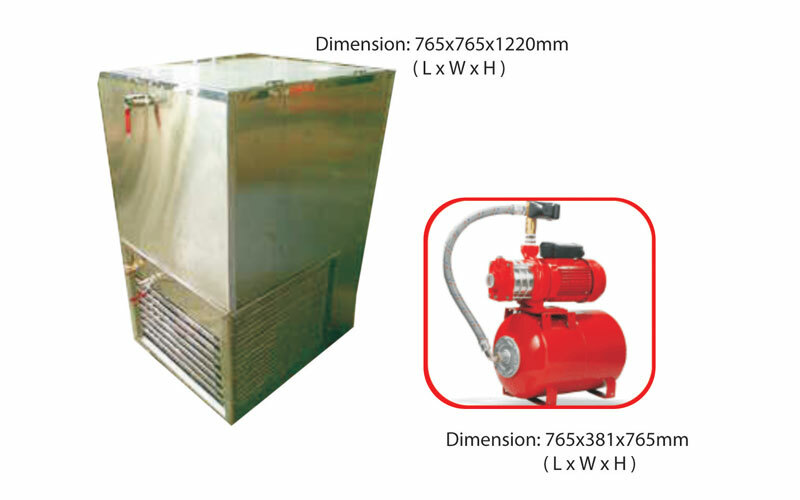 Our product range Spa Pumps, Suction Sweeper Pumps, Heating Pumps, etc. ), and Heaters (for heating and maintaining the desired water temperature in pool), etc. Swimming pool accessories play a vital role in keeping a pool efficient and hygienic. Our vast range includes Pool Ladders/Handrails, Underwater Lights, Pool Gratings, Pool Covers, pool inflatables, Pool Cleaning Accessories, Swimming pool Kits, Pool accessories, Pool Chemicals, Pool and Spa Fittings, and more. As per the hot and cold therapy, a chilled water pressure bath rejuvenates the body after a hot sauna or steam bath. Water temperature of 7°C to 12°C is maintained. As the hot Sauna or Steam opens the pores of the skin, the chilled shower facilitates cleaning of skin and contraction of pores, leaving behind a soft, smooth and clean skin. Research indicates that chilled water bath provides muscle simulation and enhances ones mental ability by reducing stress level. VERDURE’S chilled shower system comprises of a chilling unit comprising of an inner and outer body of stainless steel along with automatic temperature control, a digital, Kirloskar Compressor and a Hydro-pneumatic water boosting pressure system. Usually, swimming pools employ a skimmer box to skim water off the pool surface. Thereafter, it is pumped through a filter before returning to the pool through jets that open on the pool wall, close to the surface. Although, this process “theoretically” circulates the entire volume of water in the pool while the pump is in operation, in reality, only the top-third of the water gets circulated. More recently, swimming pool equipment vendors offer enhanced circulation systems and pipeless filter-based swimming pool designs, which offer better circulation and filtration of the pool water than all previous methodologies. Likewise, by proper filtration and mixing of water, you can also reduce the requirement of chemicals in the pool. Furthermore, the choice of operating system also has an impact on the electricity bill. With the introduction of energy efficient pumps and, more number of people are replacing the earlier fixed-speed filter pumps. Despite operating at lower speeds (to reduce the energy consumption), these newer pumps are able to maintain efficient water circulation in the pools. Contrary to popular belief, no two pools operate identical. Therefore, it is important that you review your choice of pool more thoroughly. Remember, swimming pool installations require significant amount of money upfront, therefore, you need to make sure that the pool meets your budget constraints and long-term needs. It is here that variables such as product warranties, and ease of usage come into the equation. Eventually, homeowners will need to choose between fiberglass, concrete, and vinyl-liner pools. Likewise, homeowners also need make the choice between skimmer pools and pipeless filter swimming pools. While pipeless filter swimming pools have a more advanced cartridge-based filtration technology and a UV resistant gel coat-based fiberglass filter body, skimmer pools have a skimmer device, which provides horizontal filtration by taking the water to the filtration system and back, and is more cost-efficient. Overall, you need to carefully deliberate the available options for swimming pool accessories before making the purchase. • How long has the vendor been in business? • What is the online reputation of the vendor and their brand? • What aspects of the swimming pool are covered in the product warranty? According to the budget, you can either go all-in with the installation of swimming pool accessories in the beginning or decide to delay a few optional functionalities. For example, you may want to provision for the plumbing for a heat-pump in the beginning and buy the actual heating system a couple of years later. Similarly, some homeowners prefer having a swimming pool with a high efficiency pipeless filter system (such filter systems have a fully automatic electronic control system and there is no requirement of additional piping or plant room.) Overall, it all comes down to the research that you do before actually going for the installation. Carefully decide which swimming pool accessories you want to include and which ones you want to exclude. Leading the market for swimming pool equipment vendors in Delhi India, VERDURE is the one-stop solution for swimming pool accessories for commercial and residential pools of any size or shape, indoor or outdoor. We can help you design swimming pools for a number of recreational or competitive aquatic activities such as swimming, diving, wading, water exercise and floating on inflatable toys. Our exclusive range of swimming pool accessories and equipment are designed from the best grade materials and latest manufacturing technology, therefore you can be sure of the reliability, high performance and safety of our products. To know more, give us a call and we will take it from there!